Enjoy Core features with including unlimited MySQL databases, unlimited disk space and free domain. Special Intro Hosting Plan Offers 75% discount today with a FREE domain. All plans at iPage are backed by a 30-day money-back guarantee. If you cancel during this time, you can get a full refund minus any add-ons you may have signed up for. Also, a deduction of $15 will be applied if you used their free domain. The plan you choose depends on your website and its needs. New websites or those that do not get a lot of visitors every day can be hosted on a shared server. For those who have blogs, the WordPress hosting is a better fit as it is designed for them. Those who need guaranteed resources, more storage, and control should go for VPS or Dedicated servers. 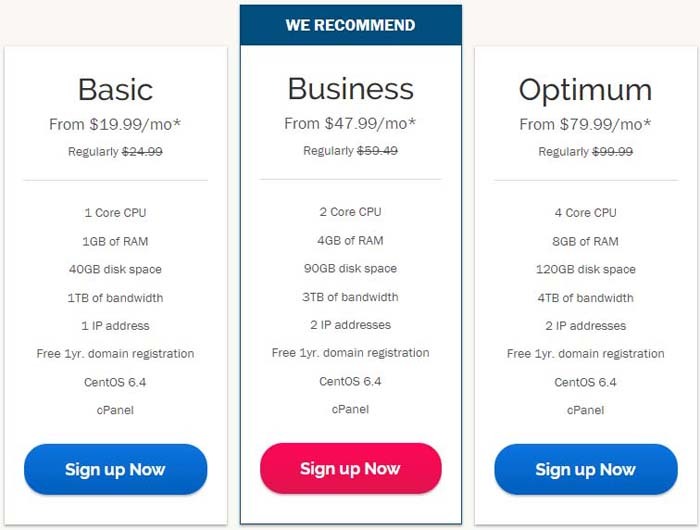 There are different plans for these different types of hosting. Check out the features and see which plan meets your need. Keep in mind the growth of your website and what you want it to be. If you believe your website’s traffic will grow fast, choose a plan that is scalable. What kinds of coupons can I apply for iPage plans? Most coupons are valid for a few weeks and you can use only one with one purchase. When looking for a domain or hosting, many people opt for iPage. iPage is a popular website for registering your domain and finding a hosting plan. It has over 1 million websites on its platform and this number is only growing now. iPage offers affordable domain names and hosting plans that power small businesses. This combined with their reliable customer service makes for the perfect place to host a growing website. If you buy your domain from iPage you can start building your website for free. They offer over 300 different extensions to choose from including the latest trends. Many of the domains come with complimentary domain privacy. New businesses can use their free website building tools as well. If you are looking for the cheapest web hosting plan, iPage is for you. The shared web hosting plan at iPage is just $1.99 per month after a discount. This plan includes a free domain, free email, free website builder (drag and drop), and free marketing tools. Whether you are starting a blog or an e-store, the tools can help you set your business up for the digital world. Those who have a WordPress website or want to start one can choose one of the plans dedicated to WordPress websites. These offer tools and plugins that can take your WordPress to the next level. 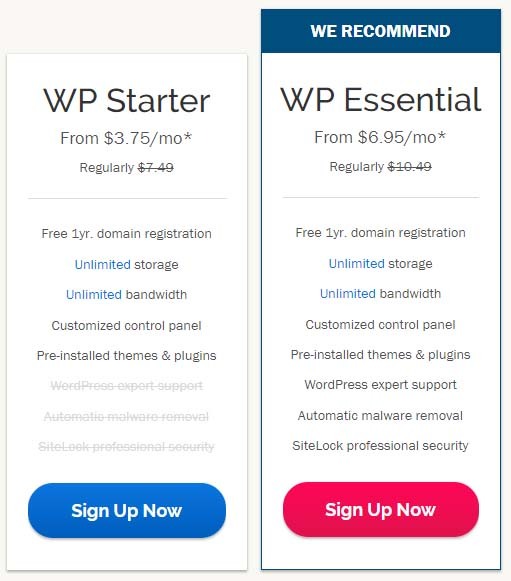 There are two plans: WP Basic at $3.75 per month and WP Essential at $6.95 per month. You get unlimited storage, unlimited bandwidth, and preinstalled plugins.